Masks fall into my skincare category of being a non-essential and a time-consuming extra step but also one of those products that is more ~exciting~ in skincare because of instant results. So whilst I do have to actively make an effort to use face masks, I do whenever my skin is looking a little lacklustre or in need of an extra boost. For giving some extra glow – I always go back to this one, and I’m sure it’s no surprise but the peter thomas roth pumpkin enzyme mask is one of the very best for instantly getting rid of the top layer of the skin and making sure everything is looking a lot more radiant. For adding some moisture back into the skin – this is the category of masks I’ve probably tried the most of because my skin seems to always be on the dehydrated side and so adding a boost in a step that my skin always benefits from. 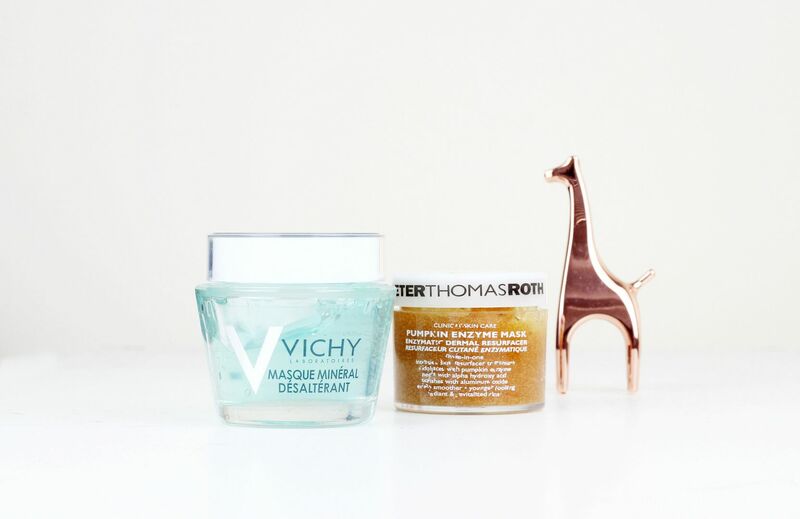 For pure hydration, I love the vichy mineral mask – it’s a non-sticky gel that instantly brings a little plumpness to the skin. The clarins hydra-quench cream is on the thicker side and it smells delicious as well as soothing dry skin. I also love the Origins overnight mask for waking up with better skin in the morning (and it’s one I need to repurchase for the second time!). Lastly, the Tony Moly sheet masks are one of my favourites for when you want a definite pamper and feel like lying down for half an hour and realxing. For clearing the skin – I don’t tend to reach for clarifying masks as often, but I am a fan of the original skin mask for mattifying the skin and also gently exfoliating at the same time. It’s not too drying so it doesn’t make skin feel tight afterwards but does help calm any breakouts. Do you have any mask favourites?